Craig Cameron and Peter Fraser will design and serve as the lead clinicians for all official EXCA Judging, Judges Advancement Seminars, and Judge's Clinics. Develop a program to identify, train, and approve a small group of elite EXCA judges authorized to conduct official EXCA level 1 and 2 Judging seminars. Design all testing instruments for level 2-4 advancement protocols. Serve as the primary source of information/answers for questions and/or rulings pertaining to judging procedures, interpretation of rules, proper handling of unusual situations, etc. The World Show Judges and Competition Monitor: EXCA Implemented this two years ago and lead to several positive improvements: consistency/accuracy of decisions; transparency of situational rule interpretations; transferable educational opportunities for judges, riders and spectators, knowledgeable/pro-active management of "challenges;" confidence building within the competitor community, and team building. Continue to judge EXCA events. During those assignments, where practical and appropriate, provide "value added" learning opportunities for the judge's community - scribing, shadow judging, question and answer sessions, targeted messaging, opportunities to host a gathering of judges at events such as World Show, etc. As we are in the thick of the EXCA season, we wanted to take a quick moment to remind all EXCA members about our guidelines regarding drugs, people and horses. We strongly discourage using any substance that could affect a horse's performance. Any substances or drugs that does not impact a horse's performance and have been prescribed by licensed veterinarian for the sole purpose of protecting the health of the horse may be allowed. Any evidence of drug use at an EXCA competition should be promptly reported to the main EXCA office. Thank you for joining us in our commitment to the horse, to a fair competition, and to the sport of Extreme Cowboy Racing. 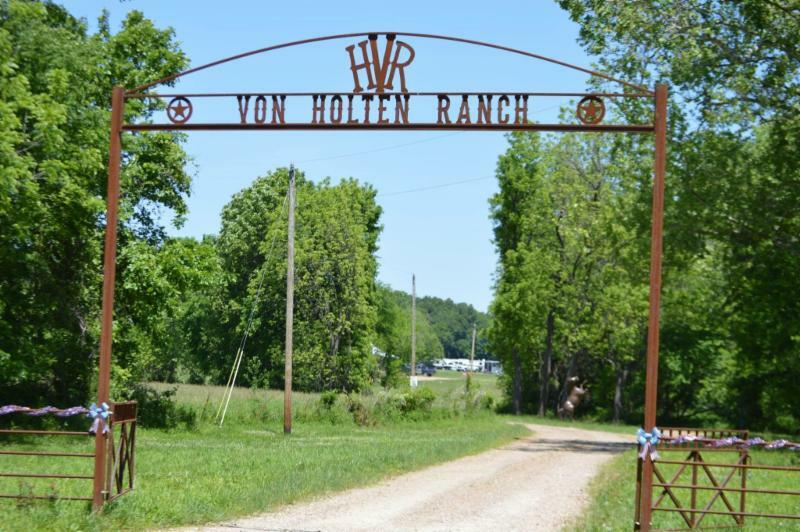 Von Holten Ranch, a family owned farm since 1906 turned equine trail riding facility, has been the home of the Missouri State EXCA Championships for the past three years. Von Holten Ranch (VHR) is equipped with 40 electric sites, 108 stalls, 4 country chic cabins, an air conditioned and heated shower house, and a covered 125x200 arena. This year, they are hosting the Mid Central Regional Championships. Mark your calendars for August 27-28, 2016! 1. Payback each day in the Green Horse, Ride Smart, Non Pro and Pro Divisions. 2. Top 10 tie-dye ribbons EACH day for the Young Guns and Youth Divisions. 3. Top 10 ribbons EACH day for the Novice and Intermediate. 4. Champion and Reserve Champion ribbons daily for the Green Horse, Ride Smart, Non Pro, and Pro Divisions. 5. Overall Championship buckles for ALL divisions. 6. Reserve Champion and 3rd place bronzed horse head statues. 7. Judged by Diana McMurtrey and Julie Slater. 8. Catered meal Saturday night! 9. After the competition on Saturday, bring your swim shorts and let's play in the water sprinklers. Bring a water gun...GAME ON! · Make sure your horse always has access to clean, fresh water. A horse under work in hot weather can drink as much as 25 gallons of water a day. You also may need to clean your troughs and buckets more often in hot weather, as algae and insects grow and reproduce much more rapidly in standing water when it's hot than when it's cool. · Provide shade when you can. This might be a loafing shed, run-in shelter or just a good shade tree, but a horse that has shade available will tend to move out of the sun if it is getting too hot. If your horse is stalled, make sure there is good airflow through the area to provide heat relief - fans can be very useful. And if you turn your horse out for a portion of the day, do it in the morning or evening when the temperatures are cooler. · Make sure your horse has access to free choice salt. Salt drives thirst and replaces the key electrolyte sodium. Supplying other supplemental electrolytes via a good quality mineral (electrolyte) supplement will help replace other key nutrients for horses that are losing a lot of electrolytes by sweating. This can be especially important for horses under work. · You can provide extra cooling for your horse by bathing it with cool water. After a workout, spray your horse's neck back, rump and legs with cool water. Most horses will love a cool bath on a hot day. · The summer heat usually brings insects, too, so use repellant, fly masks and other insect control to keep your horses as comfortable as possible. · Modify your work or training schedule so that harder work with your horse is being done at cooler times of the day. If you must work your horse when it is very hot, decrease the time and intensity of the session to keep the horse from overheating. 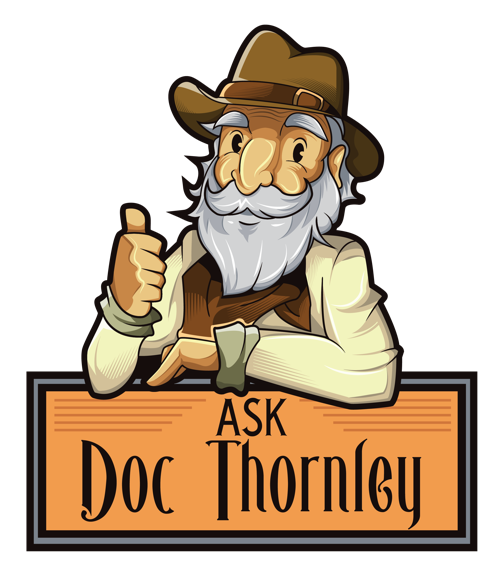 · If you suspect your horse is suffering from heat stress, consult your veterinarian. A rectal temperature higher than 103° F is a sign of heat stress. Other signs of heat stress include excessive sweating, heaving breathing or "panting", lethargy and going off feed. Let's face it - as competitors, we spend a great deal to show our horses, and at the end of the day we can live with a few inconveniences such as poor internet service or having to drive longer distances to town or no lunch served on site. But competitors do want at least two things: to know the show will be judged fairly and to have something to show for our effort and investment at the end of the day. Even ribbons are appreciated by most competitors (yes adults like them too!) in all divisions. My own personal opinions about what competitors want have been formed by competing in multiple regions and hosting many shows for the past three years. Over the years we have continued to make changes to our shows improving the quality and our venue. We have added RV spaces, expanded our pens, and added an additional Natural Course so we can run 2 arenas simultaneously, offering differing terrain. We make sure that we rotate judges for every show and that our judges are experienced judges. Our new judges are asked to scribe with experienced judges before we will hire them. We have always looked for quality awards for our Championship shows, which have ranged from buckles to quality custom keepsakes from Cowhide Customs. We give awards each day to every level with Championship awards overall. This year for our Championship show at Rolling Stone Stables we are raising the bar even higher! Our State Championship Awards will be a 3 day, 2 night stay in Las Vegas with UNRESTRICTED dates and two years to use the award! "Unrestricted dates" means during any of the Championship rodeos held in Las Vegas including the National Finals! This award also comes with $500 in gambling vouchers as well! If you are unable to travel to Las Vegas then the award is completely transferable and can be given as a gift. If you can't make it next year you can use it the year after since it is good for 2 years. We will also be giving our Champions commemorative plaques so you still have something to hang on the wall to show off your achievement. So if you are looking for a "Good Show" with GREAT prizes and judges, two distinctly different courses, excellent footing, RV parking, daily awards and fun people, I hope you will put the Oklahoma State Championship show on your calendar August 6-7th!